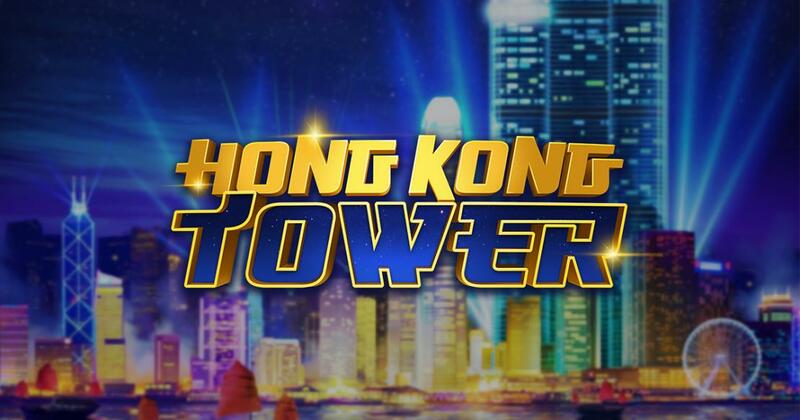 Hong Kong Tower is one of ELK’s slot machines and a game with a theme that’s based on a piece of architecture, just as the title suggests. In ELK Studios’ Hong Kong Tower, the developer picked for the theme of this game a connection with one of the huge skyscrapers that can be found in this city. The Chinese heritage of the region is unmistakable, so the slot is at the same time inspired by this country, and it’s visible in more symbols than you can see with a Hong Kong connection. The towers do appear in the background image, at night though, and not easily visible from behind the reels. On the reels, you can get images with a Yin Yang logo, a golden 7, a blue diamond, pink lotus flowers, a Bonsai tree and stylized images which seem to be based on the elements (fire, water, nature, wind and earth). A good-looking game overall, but with a Chinese theme, not a Hong Kong inspired one. Expect to find a game with an unusual setup, which means that even though it has 5 reels, it relies on 99 connecting win lines, not quite regular pay lines and not ways to win either. The individual wins of the game will get up to $1,500, but with so many lines available and with a Wheels feature that pays up to $25,000, there is enough room for improvement. Feature wise, you have the bonus game Wheels of the Sky, plus scatters and mystery symbols. Whenever you set up a bet in Hong Kong Tower, either one at $0.20 or one at $100 (the two limits of the betting range), you are always relying on 100 coins for them. The paytable indicates how many coins you can win, so it’s easy to figure out how much you can get. The top jackpot of a combo sits at only 15x the stake of the round. As far as features go, one of them is a mystery symbol that looks like a game logo. This symbol is turned into another icon once the reels stop, and it can even trigger the bonus feature if a blue bonus symbol is the one revealed. Red bonus symbols trigger the bonus game Wheels of the Sky when appearing 3 to 5 times, with its three spinning wheels of fortune and payouts that go as high as 25,000 coins. All in all, not the most imaginative game, and we’ve seen ELK do a lot better in some of their other slots. It’s a good-looking slot though, same as always.